BS3621 BS8621 BS10621 What does this mean? 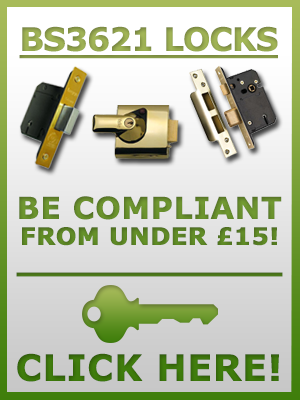 We have all read our insurance policies and I guess it has stated in the small print that all locks must comply with BS3621 or perhaps it may say a minimum of five levers. But what does BS3621 mean to the lay person, what extra security do you get with a lock compiling with BS3621 to one that does not. Lets look at the British Standard group above in a bit more detail. 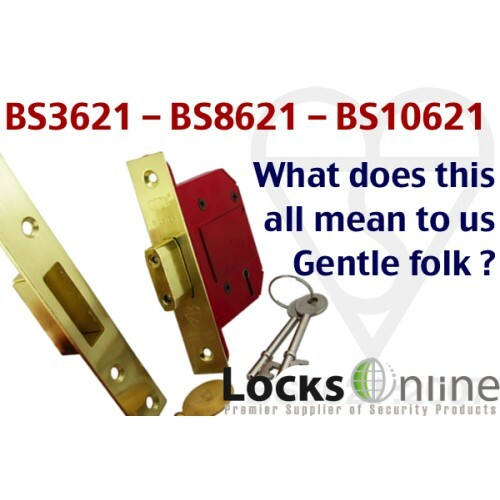 BS3621 is the most popular standard known to most for locks on doors. To make any lock even sit up to this standard it has to have the ability to be dead locked and the key taken away from both sides so no one can gain access or exit the door with-out a key. BS8621 is a new standard and not so popular to the masses, but has some distinct advantages for the domestic house and commercial applications. 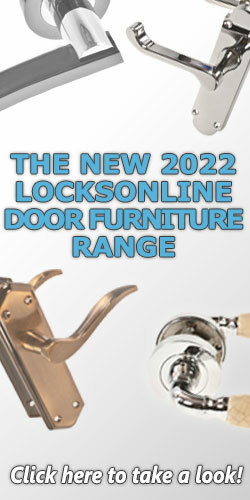 It has all the security benefits of the lock above save for the ability to get out without the use of a key. This is ideal where there are fire escapes or places where quick exit is required without the use of a key. Care must be taken when using this standard that windows or letter flaps are not in close proximity to the lock so someone can simply break a window and open the lock from outside. BS10621 Is another standard that is even not as popular as BS8621. This standard allows for the same specs as above save now the lock from key manipulation from the outside can bypass escape functions of the lock from inside. This is ideal where say you are the last person out of the building and you are locking the building down. If someone breaks in through a window they cannot use the door as a means of escape where you could with BS8621. The lock should be able to resist attack from drilling the case of the lock for at least 5 minutes. Using standard tools. The bolt must also resist attack for 5 minutes by cutting or drilling. There must be a mechanism in place to resist manipulation (Picking) off the lock (Keyway curtain or shroud is what we call this in the trade). The bolt must project at least 20mm into a full bodied steel keep when locked. 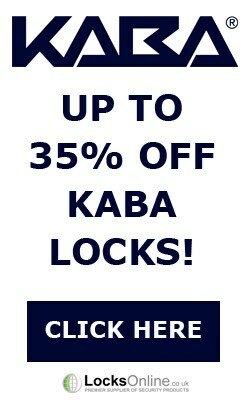 There must be at least 1000 differs to the range of locks. This is how many key shapes will differ between locks. If there is a street with 1001 front doors with all the same make and model of lock fitted then somewhere one key will fit two doors. Also, key to the security is the impact on the locking bolt and a sidewards force of 10Kn is required before the lock fails. Lets assume the door and frame is built stronger than the lock and that the door is lying flat on two pedestals. You would need at the very least 40 bags of potatoes pilled on top of each other before the lock would give way. 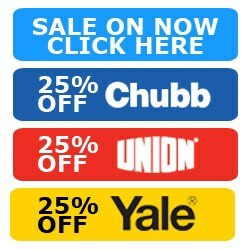 There are other features as well that makes BS3621 the considered choice for choosing a good quality lock for your front door. Also, don’t buy the cheapest, modern materials and machining processes make for quick manufacture of locks etc to drive the price down. But there is always a compromise, yes, the lock may comply to the standard but the standard is not that hot on build quality and tolerance. So invest in your security wisely. TRUST Security - Trust LocksOnline.